Seattle Mariners — Staked with a one-run lead in the eighth inning and the 9-1-2 hitters (including Mike Trout) due up, committee leader Anthony Swarzak got the call, but he promptly allowed a game-tying blast to 9-hole man David Fletcher. Of course, the Mariners took the lead again the top half of the ninth, giving Roenis Elias a chance to earn his third save, which he did. The M’s hit a bit of a skid recently but they are never truly out of a game given how well their bats have hit, so save chances will be plentiful for this bunch. Connor Sadzeck may get another opportunity soon, but keep an eye on Brandon Brennan, who has been dubbed the “secret weapon” thanks to a filthy changeup. Seattle Mariners — Both Anthony Swarzak and Roenis Elias have been busy lately and were held out of Thursday’s matchup against the Royals, leaving Connor Sadzeck to pitch a clean 10th inning for his first save. He has been impressive in the early going (4 IP, 4 K, 0 R) since being called up and could be the mix for future opportunities behind Swarzak and Elias. Brandon Brennan, who got the win yesterday after striking out three Royals in the ninth inning, has also been impressive so far this season in 9.2 IP (0.00 ERA, 0.72 WHIP, 10 K). Updated hierarchy: *Swarzak | Elias | Sadzeck. Seattle Mariners — Anthony Swarzak bailed out the Mariners with a runner on in a tied eighth, so Roenis Elias came on once Seattle took the lead back against Brad Boxberger. Elias didn’t make things easy, loading the bases with two outs, but he induced a popup to escape with his second career save. The Mariners, predicted by PECOTA to win 75 games, are already 10 games over .500. Hierarchy remains: *Swarzak | Elias | Festa. Seattle Mariners — Cory Gearrin’s struggles continue. He gave up two walks and a HBP last night, and it is hard to imagine that the Mariners will run him out in a high-leverage spot anytime soon. Anthony Swarzak remains at the top of this committee and Roenis Elias will spell him when necessary. Matthew Festa has yet to give up a run and has three holds in his first four appearances. While he doesn’t have overpowering stuff, he’s been effective in his brief time in the majors. Updated hierarchy: *Swarzak | Elias | Festa. Seattle Mariners – Anthony Swarzak was activated off the IL prior to Tuesday’s game. Scott Servais said that he expected Swarzak to get an inning of work in that contest, but what might not have been expected was the type of work Swarzak would get. After starter Marco Gonzales went 8.1 innings, Swarzak entered the tilt with runners on first and third. He promptly struck out Albert Pujols and then induced Jonathan Lucroy into a groundout to pick up his first save as a Mariner. We’ll move Swarzak to the top of the hierarchy since we think he is Seattle’s best option to close, but Servais did say that he will continue using a mix of guys in the ninth. Updated hierarchy: *Swarzak | Gearrin | Elias. Seattle Mariners – The Seattle closer carousel on Monday landed on Roenis Elias, who converted for his first save of the season. We’ll add him to the hierarchy with the understanding that we still have no idea what’s going on here and that this looks to be a full-fledged full-bullpen approach on any given night. Updated hierarchy: *Gearrin | Elias | Bradford. Seattle Mariners – With Hunter Strickland on the IL, we figured Cory Gearrin would get a save chance or two for the Mariners, and he was indeed summoned for the 9th last night, but he responded by walking the bases loaded before getting yanked for Chasen Bradford. Bradford, pitching for the first time all season, managed to record the final two outs and picked up the save. By virtue of success, he enters the hierarchy, though we’d also again remind readers that Anthony Swarzak may be an option when he returns from the IL. Updated hierarchy: *Gearrin | Bradford | Rosscup. Seattle Mariners — Hunter Strickland went on the IL yesterday and manager Scott Servais said that it could be a number of guys who get the ninth in his absence. Zak Rosscup started the ninth yesterday with the Mariners up four but couldn’t finish off the win. That left Nick Rumbelow to come on and get the final out for the save. We think Cory Gearrin is still the best bet for saves, but this certainly looks like a committee for now. Anthony Swarzack should return from the IL early next week and could also factor into save chances. Updated hierarchy: Gearrin | Rosscup | Festa. Seattle Mariners — Hunter Strickland will head to the IL with a right lat strain. Cory Gearrin should be the first Mariner to have a crack at any save chances while Strickland is out. Seattle Mariners — Hunter Strickland blew his first save of the year, giving up a three-run homer to take the loss. Strickland looked out of sorts from the start, and there is some concern that he is carrying an injury, although he claimed he was fine after the game. If Strickland does need time on the IL, look for Cory Gearrin to get the first crack at closing, as he picked up his second hold of the year in a clean eighth inning last night. Hierarchy remains: Strickland | Gearrin | Rosscup. Seattle Mariners — With a long fly ball that fell to earth one foot from the left field fence in the Tokyo Dome a few minutes ago, Hunter Strickland picked up his second save in two days. Anthony Swarzak is on the injured list, so it was lefty Zac Rosscup setting up Strickland both days — although he’s put four guys on base in 1.2 innings. We’ll move Rosscup into the hierarchy, but Cory Gearrin looks like a better bet to fill in for Strickland if necessary. Updated hierarchy: Strickland | Gearrin | Rosscup. Seattle Mariners – After Edwin Diaz led all of baseball with 57 saves, he was traded as Seattle decided to join a growing trend in baseball: hitting the reset button before a long rebuild. The M’s have amassed a collection of bullpen arms, including a few with prior closing experience. Newly signed Hunter Strickland has the most closing experience, and if he can keep his temper in check, he figures to be the best bet for saves to begin the year, with fellow newcomer Anthony Swarzak following close behind. Cory Gearrin, Shawn Armstrong and Chasen Bradford may also factor in at some point in the late innings, as could a resurgent Dan Altavilla. Starting 2019 hierarchy: Strickland | Swarzak | Armstrong. Holds candidates: Swarzak, Armstrong, Gearrin, Bradford. Seattle Mariners – Edwin Diaz continued his incredible season on Saturday. He recorded his 57th save of the season, which ties him for second most in MLB history. He also has 124 strikeouts versus only 17 walks and an ERA under 2.00. Hierarchy remains: Diaz | Colome | Vincent. Seattle Mariners – The Mariners went to closer Edwin Diaz with the bases loaded and two outs in the 8th with a 4 run lead. Diaz immediately gave up a bases-clearing double to make it a one-run game but was able to get out of the inning and pitch a scoreless ninth for his 51st save of the season. Apparently, manager Scott Servais now has to wear a beanie propeller and chaps as a result of Diaz getting to 51 saves. Pictures to come? Seattle Mariners – Edwin Diaz continued his chase of history, recording his 48 th save in dominant fashion. The outing tied him with Fernando Rodney for most saves in a season in Mariners history, and he became the second-youngest player to ever record 100 saves in their career; he’s also got 107 Ks in 62 innings, for a ridiculous K/9 rate of 15.5. Diaz would need to save 15 of Seattle’s final 36 games to break the MLB saves record. Seattle Mariners – In a surprise move, the Mariners sent James Pazos (2.68 ERA, 1.17 WHIP) to the minors on Sunday to work on his mechanics, he’d lost a couple of ticks off his fastball since the All Star break. Nick Vincent slides into his spot on the hierarchy, while Zach Duke could be the beneficiary of a few more holds. Updated hierarchy: Diaz | Colome | Vincent. Seattle Mariners – Edwin Diaz became the first player to reach 40 saves and we aren’t even in August yet. Pat yourself on the back if you drafted him,k as he’s now on pace for a 60-save season, which would put him just short of the MLB record (62) set by Francisco Rodriguez. Also, look for the newly-acquired Zach Duke to share 7th inning duties with James Pazos, Nick Vincent and others. Hierarchy remains: Diaz | Colome | Pazos. Seattle Mariners — Seattle’s 26-11 record in one-run games is due in large part to Edwin Diaz, whose 32 saves are tops in MLB by a whopping eight. Diaz, only 24, is already in the top 200 for career saves (84), and is on pace to threaten K-Rod’s record of 62 saves in a single season. K-Rod, by the way, is 16 months younger than Pat Neshek, and is currently earning saves alongside Jordany Valdespin and Emilio Bonifacio on the independent Long Island Ducks. (Get your QuackerJack wallpapers here.) The point here is that Edwin Diaz is really good. Seattle Mariners – With Edwin Diaz and Alex Colome unavailable, having both pitched three straight, the Mariners went to James Pazos and then Nick Vincent in a tie game. When they took the lead in the 10th inning, Juan Nicasio entered and picked up his first save of the season. We still consider him behind both Pazos and Vincent on the depth chart, though it’s rare anyone other than Diaz or Colome will be needed for saves on most nights. Seattle Mariners — Juan Nicasio picked up a hold in his first appearance off the DL, but his second outing on June 22 was a disaster in which he allowed four hits, one walk and five earned runs in 0.1 IP to move his ERA to 6.60. James Pazos picked up a seventh-inning hold on Monday and has been solid all year. Nick Vincent is also off the DL, and while he too got rocked on June 22, he’s probably ahead of Nicasio as well. Updated hierarchy: Diaz | Colome | Pazos. Seattle Mariners — Juan Nicasio has been activated from the disabled list and should resume his role as an option in the seventh or eighth innings ahead of Edwin Diaz. Updated hierarchy: Diaz | Colome | Nicasio. Seattle Mariners – The Mariners suffered a pair of injuries in the bullpen, as both Dan Altavilla and Juan Nicasio were placed on the 10-day DL. Nicasio’s injury isn’t expected to be serious, but In his absence James Pazos is likely to see an increased role. He has only given up one run in his last 22 appearances, although many of those have been in a LOOGY role. Another arm to watch is Chasen Bradford, who is riding an eight-game scoreless streak of his own. In addition, Nick Vincent is set to begin a rehab assignment this weekend and may be activated as early as Monday. Seattle Mariners – The Vulture Save Watch got this one, too, as Alex Colome pitched the 9th inning while Edwin Diaz got the day off. Dilly dilly. Hierarchy remains: Diaz | Colome | Nicasio. Seattle Mariners – The Mariners landed Alex Colome from the Tampa Bay Rays. Look for Colome to become the primary setup man for Edwin Diaz and a good source of holds in leagues where that matters. However, this is a major hit to Colome’s fantasy value. Seattle Mariners – Alex Colome loses his closer value and will join the set-up ranks of the Mariners. Look for him to get the ball in the 8th inning. Seattle Mariners – Lefty James Pazos continued his strong 2018 on Tuesday with 13th straight scoreless outing, lowering his ERA to 1.13. He’s pitched the seventh inning in each of the last two games and is someone who should continue to get high-leverage opportunities. Pazos has 16 strikeouts and just one walk through 16 IP this year, and he has allowed just five hits over his last 13 appearances. The one person who should be worried is Juan Nicasio, who has been dreadful lately. Hierarchy remains: Diaz | Nicasio | Vincent. Seattle Mariners – David Phelps, the expected 7th or 8th inning man in Seattle, underwent Tommy John surgery this week and will miss the 2018 season. Look for Nick Vincent to get a few more holds as a result. Updated hierarchy: Diaz | Nicasio | Vincent. Seattle Mariners — 23-year-old Edwin Diaz is cultivating the mind of “an old guy on the mound,” and Seattle has a good mix of veterans and rookies to help keep baserunners off his lawn. New Mariner Juan Nicasio should own the eighth inning, with Nick Vincent and David Phelps also playing important roles. Starting 2018 hierarchy: Diaz | Nicasio | Phelps. Holds candidates: Nicasio, Phelps, Marc Rzepczynski. Seattle Mariners – Journeyman lefty Andrew Albers got his first career save on Monday, throwing the final three innings of a Mariners blowout. He does not factor in to their usual late inning plans, but if you somehow had him in your lineup yesterday, send us a screenshot and win Closer Monkey Premium for all of 2018! Hierarchy remains: Diaz | Vincent | Rzepczynski. Seattle Mariners – David Phelps was moved to the 60-day DL, ending his season. Obviously, he can safely be loose in holds leagues. Seattle Mariners — David Phelps is headed right back to the disabled list with the same right elbow impingement. Marc Rzepczynski returns to second in line. Updated hierarchy: Diaz | Vincent | Rzepczynski. Seattle Mariners — David Phelps returned from the DL on Wednesday and immediately saw a high-leverage chance, entering a one-out, bases-loaded jam with the Mariners ahead, 4-3. Phelps allowed two of those inherited runners to score thanks to a single and a fielder’s choice, but the Mariners have to be happy to have one of their key arms back in the bullpen. Updated hierarchy: Diaz | Vincent | Phelps. Seattle Mariners — Tony Zych has a forearm strain and will be sidelined for at least 10 days. Lefty Marc “Scrabble” Rzepczynski will hold down the seventh until David Phelps can return — possibly as early as Wednesday. Seattle Mariners — After Edwin Diaz walked three and hit two in the ninth inning, Scott Servais brought in lefty Marc Rzepczynski to strike out lefty slugger Chris Davis. Rzepczynski remains the fourth or fifth option in the Mariners pen. Hierarchy remains: Diaz | Vincent | Zych. Seattle Mariners – David Phelps was placed on the DL Tuesday morning and is expected to miss 2-3 weeks with an elbow impingement. Seattle Mariners – David Phelps retired the first man he faced in the 7th inning on Sunday, but then signaled to the dugout and was removed from the game. He’s headed back to Seattle for an exam, and until he’s back in action, Tony Zych could get a few more holds. Updated hierarchy: Diaz | Vincent | Zych. Seattle Mariners — The Mariners have played good baseball as of late to get back to .500 (48-48) and made a trade Thursday to bolster the bullpen, acquiring David Phelps from the Marlins for four minor leaguers. A Seattle reporter suggests Phelps will typically work the sixth or seventh innings. Nick Vincent has been very good in the eighth for Seattle this year, so expect Phelps to begin his stint in Seattle by trying to get the ball to Vincent and Edwin Diaz. Seattle Mariners — Yovani Gallardo pitched the last three innings of a blowout win to pick up a save in his first relief appearance since July 14, 2007. Come back in another 10 years for his next one. Hierarchy remains: Diaz | Vincent | Cishek. Seattle Mariners — As the Vulture Save Watch predicted, Edwin Diaz was unavailable Thursday after pitching four straight days. With Nick Vincent also busy lately, the M’s turned to old friend Steve Cishek, who pitched a clean ninth for his first save. He may be a safe bet for late-inning appearances moving forward, whether fans like it or not. Updated hierarchy: Diaz | Vincent | Cishek. Seattle Mariners — Edwin Diaz has fully re-established himself as the Seattle closer and has no further need of the committee asterisk. Updated hierarchy: Diaz | Vincent | Pazos. Seattle Mariners — Edwin Diaz picked up a save Thursday, his first since May 9. He told reporters after the game that manager Scott Servais told him he would have been called upon earlier had Anthony Rendon come to the plate in the eighth inning. That situation would have been critical, because Bryce Harper was already on base and it would have meant that Ryan Zimmerman and/or Daniel Murphy would have reached as well. Servais said after the game that he likes Diaz in the ninth inning. It’s his job to lose at this point. Updated hierarchy: *Diaz | Vincent | Pazos. Seattle Mariners — Edwin Diaz had a positive outing on Friday night and could return to the closer’s role soon. The Mariners will likely use Diaz in a non-save situation for his next appearance, but if he responds well, he could be back as closer after that. We will leave Nick Vincent and James Pazos at the top of the committee for now, but we don’t expect that to last. Updated hierarchy: *Vincent | Pazos | Diaz. Seattle Mariners — During an interview with a Sirius XM fantasy sports show, Mariners GM Jerry Dipoto gave answers that led host Craig Mish to believe James Pazos may be first in line for saves Seattle’s committee. The tweet led to a flurry of speculative pickups — and he’s probably worth it until we see the M’s in a save situation. Nick Vincent, for his part, pitched a scoreless ninth inning Thursday in a tie game and got the win when the M’s walked off in the bottom half. We suspect he’s likely the first in a committee that includes Tony Zych, the newly returned Steve Cishek, Mark Rzepczynski and… Pazos. Maybe. Updated hierarchy: *Vincent | Pazos | Zych. Seattle Mariners — Edwin Diaz was demoted from the closer role Tuesday, replaced by a committee that will include Nick Vincent, Tony Zych, newly returned Steve Cishek, and Mark Rzepczynski. Two of those guys – Vincent and Zych – were unavailable for Tuesday night’s game, having pitched both three straight. That left former closer Steve Cishek, fresh off the DL, to try and close out the 9th. Cishek was not good, allowing a single and a two-run homer to blow a 5-4 lead. Cishek was one of just two righties available to pitch last night as part of a depleted bullpen and may eventually get a chance at the 9th again, but expect one of the other committee members to get the next save chance depending on matchups. Updated hierarchy: *Vincent | Zych | Cishek. Seattle Mariners — And, just like that, Edwin Diaz was demoted from the closer role, replaced by a committee that will include Nick Vincent, Tony Zych, newly returned Steve Cishek, and Mark Rzepczynski. For tonight’s purposes, note that Vincent and Zych have gone in three straight. Seattle Mariners – Edwin Diaz entered the game with a three-run lead, retired the first man he faced, then walked the next four hitters he faced. Diaz’s control wasn’t there, but it didn’t completely elude him, as he reached a full count with all four hitters that he eventually walked, but he still needed to be bailed out by Tony Zych. Zych allowed another run to score via groundout, then re-loaded the bases with an intentional walk before running yet another full count to Adam Rosales. The game’s final pitch badly missed its spot, but was probably called correctly by the home plate ump, giving Zych his first career save. If Diaz (5.28 ERA, 1.37 WHIP) continues to struggle, look for Zych, Nick Vincent, or possibly the returning Steve Cishek (ugh, the human arm should not bend like that) to get save chances. Seattle Mariners — Edwin Diaz is still the closer in Seattle, but you may see him used more in non-traditional closer spots. Manager Scott Servais said that Diaz needs to pitch and he can’t always just save him for the ninth inning. We don’t think this will impact Diaz’s fantasy value in a huge way so don’t overreact if you see Diaz enter the game in a non-save situation. Seattle Mariners — Dan Altavilla was sent down to AAA after giving up three runs on Thursday. This leaves a hole in the back end of Seattle’s bullpen, at least until Steve Cishek returns. Cishek had a passable outing for Tacoma last night and is expected back next week. For now, Mark Rzepczynski is likely to see any emergency save opportunities, especially if the Mariners are facing a lefty-heavy lineup. Seattle Mariners — Mark Rzepczynski has been excellent in the early going, including a scoreless outing last night for his third hold of the season. Scrabble is a classic LOOGY with a hefty contract, who has squeezed 10 outs out of the nine lefties he has faced this season, thanks to a double play. While he won’t see many traditional save chances, he could vulture an opportunity if Diaz is unavailable and the ninth is lefty-heavy. Hierarchy remains: Diaz | Altavilla | Vincent. Seattle Mariners – The Angels staged a stunning comeback against the Seattle bullpen on Sunday, scoring seven runs in the bottom of the 9th to win the game 10-9. Casey Fien was the main offender, but Edwin Diaz also had his first rough outing of the season, facing seven batters and allowing five of them to reach base. Diaz has some of the best stuff in the bigs, and the Mariners don’t have any strong options behind him, so we suspect he bounces back quickly, but we’ll drop Nick Vincent down a peg in favor of last year’s closer for Seattle’s AA affiliate, Dan Altavilla. Vincent wasn’t part of the massive meltdown, but he had a role in paving the way, giving up two runs in the 7th, while Altavilla, who throws a nice slide-piece, struck out the only hitter he faced in the 8th. Updated hierarchy: Diaz | Altavilla | Vincent. Seattle Mariners — The Mariners’ bullpen has been ravaged by injuries — Tony Zych and Steve Cishek will be on the shelf through at least mid-April, while Shae Simmons could see an even longer absence. 24-year-old Dan Altavilla — who made 28 starts in high-A in 2005 and jumped straight to the bigs from the Jacksonville Suns Jumbo Shrimp — will be counted on to repeat his impressive run from last September. Updated hierarchy: Diaz | Vincent | Altavilla. Seattle Mariners – Edwin Diaz, the 22-year-old fireballer, starts the season as the Mariners’ closer. According to the Elias Sports Bureau, Diaz was the quickest rookie to 50 strikeouts since 1893 — and now, he will be introducing a new pitch in 2017. Watch out. Last year’s opening day closer, Steve Cishek, should get the bulk of the holds as the team’s setup man. He’s returning from surgery to repair a torn left hip labrum, so if he’s not ready to go at the start of the year, Nick Vincent, among others, will slide up the hierarchy. Starting 2017 hierarchy: Diaz | Cishek | Vincent. Seattle Mariners — If the Mariners miss out on the playoffs, it certainly won’t be Evan Scribner’s fault. After missing the first five months of the season with a strained right lat, he joined the team in the September roster expansion and has been fantastic — 12.1 scoreless IP over 10 games, with 14 Ks and only eight baserunners. Wednesday afternoon, Scribner escaped a Nick Vincent jam on his way to two more scoreless innings. He can’t crack the hierarchy, but he deserves a little love. Hierarchy remains: Diaz | Cishek | Vincent. Seattle Mariners – In a game with significant playoff implications, Edwin Diaz got torched by the Astros in the 9th inning, blowing his third save of the season. Luckily for Diaz, his team was able to bail him out by scratching out a run in the 11th to take the lead. In the bottom of the 11th, Nick Vincent kept Mariners fans on edge as he wobbled his way through the last three outs, earning his third save of the season. Down the stretch, we expect the Mariners to stick with Diaz, who has been solid lately, boasting a sub-1.00 WHIP in his last 30 appearances. Seattle Mariners — Tom Wilhelmsen returned from the disabled list yesterday. He pitched in a Mariners’ blowout victory and gave up a couple runs. Nick Vincent hasn’t allowed a run since Wilhelmsen went on the disabled list in late August and has picked up three holds during that time. We will leave Vincent on the hierarchy for now and watch how the Mariners use the veteran Wilhelmsen down the stretch. Seattle Mariners — The Mariners have placed Tom Wilhelmsen on the disabled list with back spasms. Steve Cishek and Nick Vincent should help set-up Edwin Diaz while Wilhemsen is out. Updated hierarchy: Diaz | Cishek | Vincent. Seattle Mariners — Steve Cishek didn’t get into a close game after he returned from the DL Friday. Meanwhile, Edwin Diaz struggled (three walks, two runs) but managed to pick up his ninth save of the year. The Mariners are likely to be cautious with Cishek coming off a hip injury, but he should be back into the late-inning mix before long. Updated hierarchy: Diaz | Wilhelmsen | Cishek. Seattle Mariners — Edwin Diaz had pitched in four of five games, and Tom Wilhelmsen had gone in three of four — so out came Nick Vincent to face the heart of Detroit’s order in a save situation. Arquimedes Caminero hasn’t done anything wrong — he earned the win with a perfect eighth — but Scott Servais evidently loves what Vincent can do against righties. Updated hierarchy: Diaz | Wilhelmsen | Vincent. Seattle Mariners – A few days ago, the Pirates traded flamethrower Arquimedes Caminero to the Mariners. Yesterday, the Mariners called up Caminero from Triple-A and he was immediately put into a high-leverage spot last night in the 8th inning. The Mariners seem keen on Caminero helping them down the stretch, so we will add him to our hierarchy. Sorry, Drew Storen. Updated hierarchy: Diaz | Wilhelmsen | Caminero. Seattle Mariners – Edwin Diaz got the night off after pitching in four of the last five, so Tom Wilhelmsen picked up the save in his stead. Meanwhile, the Vulture Save Watch patted itself on the back. Hierarchy remains: Diaz | Wilhelmsen | Storen. Seattle Mariners – Former closer Steve Cishek was placed on the disabled list Thursday with a hip injury. Tom Wilhelmsen and the recently acquired Drew Storen may see opportunities when 22-year-old phenom Edwin Diaz isn’t available to close for the M’s. Updated hierarchy: Diaz | Wilhelmsen | Storen. Seattle Mariners – After back-to-back poor outings, including a blown save on Sunday, Steve Cishek is out as Mariners closer. Edwin Diaz will take over for Cishek, with Tom Wilhelmsen likely getting the 8th for now. Cishek may still see some work in the 7th if Seattle has the lead, so we’ll keep him in the hierarchy for now, though recently-acquired Drew Storen is also a candidate to get some looks in the 7th. Seattle Mariners – Steve Cishek blew his sixth save of the season last night, leading to Jon Lester’s walkoff bunt in the 12th inning. Edwin Diaz, whose K/9 is beyond ridiculous, looms ominously, and would close if Cishek is traded today. He might close soon, anyway. Hierarchy remains: Cishek | Diaz | Wilhelmsen. Seattle Mariners — The Mariners traded Joaquin Benoit to Toronto for the recently DFA’d Drew Storen late Tuesday night. Storen comes to Seattle with a 6.21 ERA, though GM Jerry Dipoto is confident that Storen can get back on track over the next two months. Tom Wilhelmsen picked up his fifth hold of the season on Tuesday in a Mariners win and should see more of the seventh inning with Benoit heading north of the border. Updated hierarchy: Cishek | Diaz | Wilhelmsen. Seattle Mariners — Wade LeBlanc pitched the last three innings of a Mariners blowout win to record his first save of the season. He didn’t pitch particularly well, giving up three runs, and he will not be seeing any high leverage late inning action any time soon. Hierarchy remains: Cishek | Diaz | Benoit. Seattle Mariners — Edwin Diaz pitched the eighth inning of a one-run game and added two more strikeouts to his league-leading 44 relief strikeouts since his June 6 debut. A converted starter, Diaz has a plus fastball and an incredible 18.3 K/9 ratio this season. All that’s holding him back thus far is his age (22), but four straight eighth-inning appearances suggests that Scott Servais is coming around to using him over Joaquin Benoit. It may be hard for Diaz to keep up his otherworldly ratios, but he could still see save chances soon. Updated hierarchy: Cishek | Diaz | Benoit. Seattle Mariners — Edwin Diaz pitched the eighth inning in Saturday’s 1-0 win, striking out two and allowing just one hit. After the game, Scott Servais said that Diaz has “earned his trust,” but that Diaz hasn’t formally supplanted Joaquin Benoit in the eighth inning. Servais’s major concern is overusing Diaz, who is not yet used to a long major league season. So while Benoit is still the most likely option ahead of Steve Cishek, don’t be surprised if Diaz continues to get high-leverage spots as the Mariners try and climb back into the playoff picture. Hierarchy remains: Cishek | Benoit | Diaz. Seattle Mariners — Former starter Nathan Karns pitched the last three innings of a Mariners’ blowout win and earned his first career save. Karns does not factor into the Mariners normal late inning plans. Seattle Mariners — Edwin Diaz, a starter-turned-reliever, was called up from Double-A on June 4 and picked up his fourth hold of the season on Tuesday. He showed off his plus fastball to get the final out of the eighth, striking out Gregory Polanco while hitting 100, 101 and 99 on the radar gun. With two strikeouts on Tuesday, Diaz has now fanned 21 of the 58 batters he has faced (36.2%) this season. He earned praise from manager Scott Servais after the game, and with the stuff he has, Diaz should get more high-leverage looks for the Mariners. Updated hierarchy: Cishek | Benoit | Diaz. Seattle Mariners — Struggling reliever Joel Peralta was designated for assignment by the Mariners on Thursday. The 40-year-old had a good April (3.00 ERA, .161 BAA) but has struggled mightily since then, allowing five home runs to the tune of a 10.00 ERA over his last nine innings. Keep an eye on Nick Vincent (2.25 ERA, 0.96 WHIP), or perhaps Steve Johnson, who has impressed manager Scott Servais lately. Updated hierarchy: Cishek | Benoit | Vincent. Seattle Mariners — Joaquin Benoit has been activated from the disabled list and rejoined the Mariners in Baltimore on Tuesday night. Updated hierarchy: Cishek | Benoit | Peralta. Seattle Mariners — Joel Peralta and Steve Cishek each allowed two runs for a rare 2016 Seattle blown save. Hierarchy remains: Cishek | Peralta | Vincent. Seattle Mariners — The Vulture Save Watch knew that Steve Cishek would need a night off, but it turns out Joel Peralta needed one too — which left a save opportunity for Nick Vincent. He blew the tough save, but has pitched well enough that he may keep seeing high-leverage work even after Joaquin Benoit returns from the DL, which may happen as soon as next week. Seattle Mariners – Nick Vincent grabbed his fourth hold of the season last night, pitching in the seventh inning. The Mariners have not been using the flamethrower Tony Zych as much as we anticipated, and with Vincent getting holds chances with increasing frequency, we will flip them in the hierarchy for now. Updated hierarchy: Cishek | Peralta | Vincent. Seattle Mariners – The Mariners have sent 38-year old reliever Joaquin Benoit to the 15-day DL with shoulder inflammation and recalled reliever Mayckol Guaipe. Last night, Joel Peralta slid into the 8th inning role, surrendering one run, but maintaining the lead and grabbing a hold. Based on recent usage and the fact that he throws about 110 mph, we anticipate that Tony Zych will get put into some high pressure spots while Benoit is away. Updated hierarchy: Cishek | Peralta | Zych. Seattle Mariners — Joel Peralta took the 7th inning for the Mariners on Wednesday and picked up his second hold of the year. Tony Zych has been used mainly in longer relief, so Peralta takes his spot in the hierarchy. Seattle Mariners — The Mariners traded away Carson Smith and Tom Wilhelmsen in the offseason, leaving an already fragile bullpen in shambles. Steve Cishek will close for now; he has closing experience, but struggled in Miami last year and lost his job quickly. 38-year-old Joaquin Benoit will back up Cishek; he comes off a strong season setting up Craig Kimbrel in San Diego. Keep an eye on September call-up Tony Zych, whom the Mariners received from the Cubs for only $1 last year. Zych, 25, has a fastball that can touch 99 and a wicked slider. His star will rise if he can calm his control issues. Starting 2016 hierarchy: Cishek | Benoit | Zych. Holds candidates: Benoit, Charlie Furbush, Evan Scribner. Seattle Mariners – Manager Lloyd McClendon has taken a lot of flak from us this year. From sticking with Fernando Rodney as the closer for too long, to using Fernando Rodney when he couldn’t get anybody out, McClendon has taken a lot of the blame for Seattle’s bullpen woes. We need to give credit where credit is due though. In a tie game, as the visitors, McClendon used Carson Smith for the highest-leverage out of the night to that point. When Logan Kensing got in trouble in the 8th, McClendon didn’t hesitate to bring in closer Tom Wilhelmsen to get out of the jam. McClendon left him in for the 9th after Seattle scored three more runs, and he picked up a five-out save. Using your best pitchers in the most important spots, regardless of what their “role” in the bullpen is, that’s how you get the most out of your team! Maybe if McClendon had been doing this all along, Seattle wouldn’t be 10 games back in its division. Hierarchy remains: Wilhelmsen | Smith | Kensing. Seattle Mariners – Prior to Wednesday’s game, manager Lloyd McClendon officially named Tom Wilhelmsen his closer, with Carson Smith to continue to pitch ahead of him. McClendon praised both pitchers, noting how comfortable and relaxed both relievers seem to be. Seattle Mariners – In one of the most unsettled bullpens in the league, it was Logan Kensing that pitched the 7th ahead of Carson ‘Smith and Tom Wilhelmsen. Edgar Olmos got the win after 3.2 innings of long relief. This is Kensing’s second straight hold since being called up on Aug. 23, and that is enough to jump into our hierarchy. Updated hierarchy: Wilhelmsen | Smith | Kensing. Seattle Mariners — It was another rough night for the Mariners bullpen as Carson Smith blew the save in the ninth inning and then Danny Farquhar gave up three runs (one earned) in the tenth inning. After the game, the Mariners decided to shake things up as they optioned Farquhar and designated Fernando Rodney for assignment. Tom Wilhelmsen threw 1.1 scoreless innings on Saturday and should slide into 1st in line behind Carson Smith. Updated hierarchy: Smith | Wilhelmsen | Olmos. Seattle Mariners — Despite being abjectly terrible at baseball (5.68 ERA, 7.9 K-BB%, -0.8 WAR), Fernando Rodney (golden chinstrap edition) somehow leads Seattle in appearances and innings pitched after another debacle on Friday. It’s natural to blame Lloyd McClendon, though Ryan Divish of the Seattle Times claims that the manager asked to DFA Rodney over a month ago. Unless Rodney does get cut, we don’t see a way to drop him from the hierarchy completely, not with the human flotsam backing him up. How the mighty have fallen. Updated hierarchy: Smith | Farquhar | Rodney. Seattle Mariners – After his extra-inning save on Sunday, Danny Farquhar got another high-leverage spot on Tuesday and delivered, picking up an eighth-inning hold ahead of Carson Smith. It was Farquhar’s second straight perfect outing. Perhaps Tom Wilhemsen needed a night off after three straight outings, but he only threw five pitches on Monday. It looks as if Farquhar is rising quickly in Lloyd McClendon’s bullpen. Updated hierarchy: Smith | Rodney | Farquhar. Seattle Mariners – After a successful recent stretch in AAA, Danny Farquhar returned to the big leagues over the weekend and picked up a save in extra innings on Sunday. At the moment, he doesn’t factor in to the usual late-inning plans in Seattle, but given Carson Smith’s struggles (he blew another save on Sunday), Farquhar could become an option for Lloyd McClendon. A resume that includes “past closer experience” still plays pretty well among most MLB managers. Hierarchy remains: Smith | Rodney | Wilhelmsen. Seattle Mariners – With a two-run lead and a man on first in the 8th inning, Carson Smith was summoned into the game. He was supposed to be unavailable, but was used for a single batter, and he got an inning-ending double play. 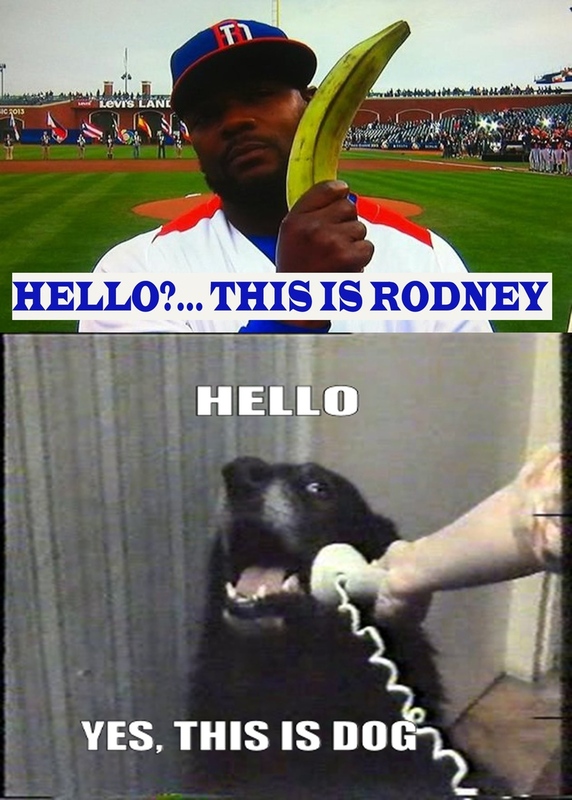 After Joe Biemel took the first out of the 9th, Fernando Rodney was brought in to close the door. He imploded, giving up the tying runs and walking another hitter, then he was mercifully removed. Rodney had put together 5 scoreless appearances before this, but given how poor his overall year has been, he may not see many more chances. Smith’s usage in the 8th was odd, too, so Tom Wilhelmsen is someone to keep an eye on going forward in this mess of a bullpen. Seattle Mariners – Tom Wilhelmsen picked up an 11th inning save on Sunday after Carson Smith and Fernando Rodney had already pitched. He’s not likely to get more save chances, but we’ll bump him up to the hierarchy for his efforts. Updated hierarchy: Smith | Rodney | Wilhelmsen. Seattle Mariners — Carson Smith had another rough outing on Saturday night, as he blew a one run save opportunity and took the loss. Despite Smith’s recent troubles, manager Lloyd McClendon said he would be out there again if there was a save on Sunday. Former closer Fernando Rodney struck out the side in the 8th last night and now has three straight perfect appearances. Hierarchy remains: Smith | Rodney | Nuno. Seattle Mariners — Carson Smith can breathe a little easier today; Mark Lowe, his most talented competition for high-leverage work, was sent to Toronto in a deadline deal. Fernando Rodney and his 5.57 ERA move up by default, with Vidal Nuno holding down second in line, at least until Charlie Furbush can return from the disabled list (biceps tendinitis) in mid-August. Updated hierarchy: Smith | Rodney | Nuno. Seattle Mariners – After taking the loss last night, Carson Smith has now had two outings and two losses since we removed his asterisk. As mentioned yesterday, the guy who he might have competition from now, though, is Mark Lowe. Lloyd McClendon favorite Fernando Rodney still lurks, as well. Hierarchy remains: Smith | Lowe | Rodney. Seattle Mariners – Mark Lowe pitched the 8th and 9th innings of a tie game on Sunday, posting two scoreless frames and lowering his ERA to a tidy 1.03. Lowe has been no fluke, as he’s throwing all of his pitches harder this year and has 46 strikeouts (in 35 innings) to show for it, and his Sunday outing mirrored an outing he had on Thursday, where he also kept the game tied in a 2-inning appearance. Those two outings — coupled with his 8th inning hold on Friday — have pushed Lowe to the 1st in line spot. Updated hierarchy: Smith | Lowe | Rodney. Seattle Mariners — We finally remove the asterisk from Carson Smith and how does he repay us? He has his worst outing of the season. Smith allowed two runs on two hits and two walks without recording an out and took the loss on Saturday. Luckily for Smith, Fernando Rodney also allowed two runs on Saturday. However, another outing like this one from Smith, and Rodney and Mark Lowe could enter the conversation for save chances moving forward. Hierarchy remains: Smith | Rodney | Lowe. Seattle Mariners — Over the last two months, Carson Smith has nine saves and Fernando Rodney has two (and two blown saves). After Smith shut down Toronto in the ninth on Friday night, we think it’s time for him to shed his asterisk and be considered the Seattle closer, full stop. Just promise us you won’t tell Lloyd McClendon. Seattle Mariners — Extra-inning games tend to stretch out a bullpen, and that was the case Thursday, when all of the Mariners relievers in the late-innings hierarchy got a crack. All pitched well, with Mark Lowe tossing a scoreless eighth and ninth, Carson Smith getting all three outs in the tenth, and Fernando Rodney managing to throw a scoreless eleventh. Rodney earned the win when Tigers reliever Ian Krol gave up the go-ahead run in the top half of the twelfth, and old friend Tom Wilhelmsen pitched a clean bottom half for his first save of the year. The team’s former closer, Wilhelmsen will not factor into the team’s ninth-inning plans moving forward. Hierarchy remains: *Smith | Rodney | Lowe. Seattle Mariners – Carson Smith recorded his 7th save of the season yesterday, while Fernando Rodney was used for the last out of 8th inning. Smith gave up a run in the 9th, but the fact that Rodney was used in the 8th and Smith was able to convert another save opportunity should bode well for him moving forward. Seattle Mariners – Carson Smith needed only two pitches to record a save on Thursday night — entering with two outs in the 9th and the bases loaded, he retired Kole Calhoun on a groundout. With the Mariners sporting a 7-2 lead, that appearance made him juuuust barely eligible for his sixth save of the year. We will happily use this as an excuse to bump him back to the top of the closer committee; Fernando Rodney was used in the 8th inning and gave up a solo HR. Updated hierarchy: *Smith | Rodney | Lowe. Seattle Mariners – After a stretch of nine-straight scoreless appearances, Fernando Rodney was up to his old tricks again, allowing a solo shot in the 8th inning to blow a one-run lead. In Rodney’s defense, it was Yoenis Cespedes who crushed a 98-mph fastball over the centerfield fence. Carson Smith pitched the 9th and 10th in a tie game and struck out five of the six batters he faced. With manager Lloyd McClendon unavailable to manage the series with Detroit, bench coach Trent Jewett said that both Smith and Rodney will be used as the team’s closer. After 36 pitches from Smith on Tuesday, Rodney is all but a lock for the next chance. Hierarchy remains: *Rodney | Smith | Lowe. Seattle Mariners – Fernando Rodney put two men on in the 9th inning, but managed to earn the save. Despite our continued whining about Lloyd McClendon’s refusal to give the job to Carson Smith, Rodney has been effective lately, and Sunday was his 9th straight scoreless appearance. His ratios are still pretty bad — he’s had 6 Ks and 5 BBs during his scoreless stretch — so the wheels could fall off again at any moment. But he’s likely to continue to get chances if he continues to put up zeroes. Seattle Mariners — Carson Smith didn’t do himself any favors in the fight for Seattle saves, giving up a couple runs after coming on with a six-run lead in the ninth inning. Seattle Mariners – Just when it seemed like Fernando Rodney had resumed his 9th-inning duties, manager Lloyd McClendon opened up the committee again. Rodney came into the 8th inning to protect a three-run lead. This makes sense if he was facing the heart of the order, but he was facing the 7-8-9 hitters. Not really a place where you would find your closer. Carson Smith was warming up for the save opportunity, but when the Mariners tacked on four runs in the top of the 9th, they sat him down and turned to Tom Wilhelmsen. We are still big fans of Carson Smith, and this seems to suggest he will still see some save chances down the road despite McClendon’s affinity towards Rodney. Seattle Mariners – Fernando Rodney put up another scoreless outing on Sunday, which will give Lloyd McClendon more reason to do what he’s said he wants to do anyway — get his former closer back into the 9th inning. Should-be closer Carson Smith, meanwhile, finished off the 8th inning in a tie game. This remains a committee, but we’ll bump Rodney back to the top of the pile while aiming a scowl in McClendon’s general direction. Updated hierarchy: *Rodney | Smith | Lowe. Seattle Mariners — With Mike Trout and Albert Pujols up in the eighth inning, Lloyd McClendon called on Carson Smith, leaving Fernando Rodney to face his first save situation since early June. Smith has done nothing wrong in his short term as head of Seattle’s closer committee, but we know McClendon is rooting for “proven closer” Rodney to earn his job back. Seattle Mariners — Carson Smith has converted all three save opportunities since taking over the closer’s role, but manager Lloyd McClendon is still worried about Smith’s durability, and said on Wednesday that old closer Fernando Rodney, or a combination of Rodney and others, would get the call when and if Smith is unavailable. Seattle Mariners – Charlie Furbush got the call to start the 9th inning in a two-run game, but Lloyd McClendon was simply playing the matchups, as he yanked Furbush after he got the lefties in the lineup out. Carson Smith struck out the only batter he faced to snag an easy save. Smith continues to lead the Seattle committee, but this could easily have been Furbush’s save had the last batter been a lefty. Hierarchy remains: *Smith | Lowe | Furbush. Seattle Mariners – Carson Smith continues to look like the lead arm in the Seattle committee; he was handed the 9th inning in a two-run game on Tuesday, his second straight save opportunity. This time it didn’t go quite as smoothly for him, with a leadoff home run and a single preceding the final out. The young righthander’s phenomenal season continues, and a couple more clean save opportunities could see him kick the asterisk. Seattle Mariners — Carson Smith pitched a perfect 9th on Saturday night to record his first career save. Manager Lloyd McClendon said recently that he didn’t have any alternatives to Rodney, but finally admitted that Rodney would get some time off from closing to clean up some things. It looks like it will be a closer-by-committee with Mark Lowe and Charlie Furbush also getting chances situationally. Carson Smith should get the majority of chances, but he has only pitched three days in a row once this season and the Mariners will likely be cautious with his usage even on back-to-back nights. Updated hierarchy: Smith | Lowe | Furbush. Seattle Mariners — When Friday’s game stayed scoreless into the ninth, all-star coach Lloyd McClendon turned to the ultimate offensive catalyst — Fernando Rodney, who gave up the go-ahead home run. Apparently enamored with Rodney’s “man muscles,” the manager has steadfastly refused to consider replacing him with Carson Smith, but after this latest failure, we wouldn’t be surprised to see a change announced before Saturday’s game. Hierarchy remains: Rodney | Smith | Wilhemsen. Seattle Mariners — Fernando Rodney has 14 saves this year, which is probably thanks to the fact that manager Lloyd McClendon won’t remove him from the closer role despite a 6.85 ERA and another blown save on Tuesday. McClendon defended Rodney again after Tuesday’s game, and gave no indication that he’ll move in a different direction anytime soon. Sorry, Carson Smith. Seattle Mariners –Following a Fernando Rodney blown save in which Rodney allowed three runs, Joe Beimel picked up his first save since June 11, 2009. Rodney may have pulled off the save if not for Robinson Cano not being able to turn a double play in the ninth, but his ERA climbed to 6.98 instead. Manager Lloyd McClendon doesn’t care about ERA, and Rodney is indeed third in the AL with 13 saves, but you wonder how long McClendon can ignore Carson Smith’s 0.86 ERA and 0.67 WHIP. Seattle Mariners — Tom Wilhelmsen, who had 24 saves just two season ago, pitched a scoreless 7th inning yesterday with the Mariners up 1. Since his return from the DL in early May, Wilhemsen has 5 scoreless appearances. With Danny Farquhar struggling, Wilhemsen, who manager Lloyd McClendon calls “the glue,” could see more time in the late innings. Updated hierarchy: Rodney | Smith | Wilhemsen. Seattle Mariners — Earlier this week, we learned that setup man Danny Farquhar (5.29 ERA) is trying to figure out what’s gone wrong this season. While he does, rookie Carson Smith continues to impress at the back end of the bullpen, tossing a clean eighth inning ahead of Fernando Rodney on Thursday night. Rodney himself was not so clean, allowing the go-ahead run to take the loss in a 2-1 game. Rodney (5.65 ERA, 1.60 WHIP) has now allowed runs in three of his last four appearances. He’s still the Mariners’ closer, but Smith has earned the right to be next in line if Rodney continues to struggle. Updated hierarchy: Rodney | Smith | Farquhar. Seattle Mariners – Danny Farquhar picked up his second blown save of the season on Tuesday, giving up two runs in the eighth inning. Since his last hold on April 18, Farquhar is 0-1 with two blown saves and just one hold, bumping his ERA up to 5.02. Manager Lloyd McClendon did not say much about Farquhar specifically after the game, but he may be pitching his way out of a chance to get saves when Fernando Rodney is unavailable. Hierarchy remains: Rodney | Farquhar | Smith. Seattle Mariners – In a bit of a surprise, Yoervis Medina was optioned to AAA over the weekend. Medina had been among the names mentioned by speculators when Fernando Rodney was struggling, but Medina had struggled with his control in recent weeks (5 BBs in his last 4.2 innings) and will attempt to straighten himself out in the minors. Fortunately for the Mariners, righty Carson Smith (0.73 ERA) has emerged as a reliable arm in the bullpen. Smith picked up his 5th hold of the season on Sunday and should be considered for save chances on nights when Fernando Rodney is unavailable. Updated hierarchy: Rodney | Farquhar | Smith. Seattle Mariners – Fernando Rodney continued his poor pitching on Tuesday and this time it resulted in his first blown save since July 20, 2014. Manager Lloyd McClendon has already said prior to Tuesday that he won’t fly off the handle after a bad outing, and stated after last night that his team is going to be fine. If Rodney doesn’t improve however, McClendon may not have much choice going forward. One choice he won’t have is to use former closer Tom Wilhelmsen, who hit the DL. Hierarchy remains: Rodney | Farquhar | Medina. Seattle Mariners — Almost everyone from Seattle’s surprisingly effective 2014 bullpen is returning this season, including Fernando Rodney, who led MLB and set a Mariners record with his 48 saves, and inspired the Little League champions to skew their hats and fire imaginary arrows. Danny Farquhar and Yoervis Medina will be back in their set-up roles too, ensuring that Seattle’s pen will once again lead the league in Scrabble points (non-Rzepczynski division). Starting 2015 hierarchy: Rodney | Farquhar | Medina. Holds candidates: Charlie Furbush, Medina. Seattle Mariners — Don’t tell Fernando Rodney he needs rest — not before an off day. On Wednesday night, he pitched for the fifth time in six days, running his weekly pitch count to 90. Yoervis Medina took the eighth, but as we mentioned a few times in July, until he actually spells Rodney one of these times, we’ll keep him behind Danny Farquhar. Seattle Mariners – Charlie Furbush picked up his first save of the season on Saturday, pitching the bottom of the 12th inning. He does not factor in to the Mariners’ usual late-inning plans. Seattle Mariners – Though he’s rarely been used as the 8th inning man, Lloyd McLendon tabbed Danny Farquhar as his backup closer as recently as two weeks ago. But man, it’s weird to see your backup closer pitching in the THIRD inning of a game, as Farquhar did last night. We’ve been perpetually befuddled by this bullpen all season, mostly because it’s been very good top to bottom — McLendon hasn’t really needed to designate specific roles his more effective pitchers, because they’ve all been so effective. So we’re still going to trust that Farquhar truly would be the guy to take over should something happen to Fernando Rodney. But man, the third inning? Really? Seattle Mariners — It’s still really close between Danny Farquhar and Yoervis Medina — Medina has been getting a lot of eighth-inning work and hasn’t allowed a run in 51 days, but Farquhar has closed in the past, got a vulture save opp in May, and was lined up for another in June. We’ll keep them in this order until and unless there’s a clear indication that Yoervis has moved ahead. Seattle Mariners – Tom Wilhelmsen pitched the final three innings of a 10-4 Mariners win and picked up his first save of the season. Seattle Mariners – Though he spent part of 2013 as the closer, Danny Farquhar didn’t appear to be the backup to Fernando Rodney — he often pitched the 7th inning, and has only accumulated 6 holds. But on Sunday, it was Farquhar who was the closer du jour with Rodney unavailable. As it turned out, Rodney insisted he was fine despite pitching in three straight, so Farquhar finished off the 8th and Rodney picked up the save in the 9th, but we now know that despite his weird usage, Farquhar is the handcuff in Seattle. Updated hierarchy: Rodney | Farquhar | Medina. Seattle Mariners – Yoervis Medina picked up the win last night after pitching a perfect 8th inning in a tie game. Medina has not given up a run in his last 11 appearances and looks to have moved ahead of Danny Farquhar. Updated hierarchy: Rodney | Medina | Farquhar. Seattle Mariners – Yoervis Medina pitched a scoreless 8th ahead of closer Fernando Rodney last night with the Mariners up one run. He struck out two batters and picked up his 9th hold of the season. Seattle Mariners – Fernando Rodney was unavailable after a 4-out save on Saturday, so Danny Farquhar got the final outs in his place. The Mariners have mixed and matched in the 8th inning all year, but this leaves no doubt that Farquhar will be the man to inherit the job if Rodney needs to be replaced. No hierarchy change. Seattle Mariners – Danny Farquhar has had a very different season from a year ago. In 2013, despite posting a spectacular strikeouts per inning ratio, he was often the victim of hard luck, finishing the season with an ERA over 4. This year, he’s not striking out as many people and his walks are up, yet his ERA is 1.50. He got the 8th inning last night (after Tom Wilhelmsen pitched the 7th) and earned the win after the Mariners broke the tie. Fernando Rodney is 5/6 in save chances, but he hasn’t exactly been reliable and currently has a WHIP higher than Farquhar’s ERA. If Rodney falters, Farquhar could pick up where he left off last year. Hierarchy change: Danny Farquhar to Set-up, Tom Wilhelmsen to 2nd in line. Seattle Mariners — Fernando Rodney was all over the place on Wednesday night, turning a Felix Hernandez gem into a loss with two unearned runs. The Mariners’ bullpen is somewhat unsettled; although Tom Wilhelmsen would probably be the most likely replacement closer, he hasn’t been used in exclusively high-leverage spots. Nor has Danny Farquhar, who watched Charlie Furbush and Yoervis Medina handle the eighth last night. We’re not quite sure what to tell you about Seattle, other than not to trust the guy with the crooked hat. No hierarchy change. Seattle Mariners — Tom Wilhelmsen retired all four batters he faced, including Albert Pujols with two on, two out in the seventh inning, in a solid performance. Fernando Rodney was warming for the ninth before the Mariners scored six in their half of the eighth, which meant Danny Farquhar got the call for the final three outs. Wilhelmsen has closing experience – albeit rocky – but if he can continue to get outs in high-leverage spots he’ll be contending with a shaky Rodney for save opportunities. Hierarchy change: Tom Wilhelmsen to Set-up, Danny Farquhar to 2nd in line. Seattle Mariners — Fernando Rodney’s astonishing one-off 2012 season, in which his 3.8 WAR doubled the total from his other ten years combined, makes him the “Gangnam Style” of relievers. Ranked #18 in our preseason closer rankings. Seattle Mariners – Danny Farquhar spent much of 2013 putting up phenomenal peripherals that the Mariners just didn’t trust for some reason, waiting until August to hand him the closer job. Well, not much has changed — the Mariners still don’t trust Farquhar, and scooped up the enigmatic Fernando Rodney to be their 9th inning man. If Rodney puts up 2012 numbers, then obviously Farquhar will never sniff the job. If Rodney puts up 2013 numbers, then Farquhar could win it pretty quickly. Tom Wilhelmsen is lurking as well, and starts the season in our 2nd in line position, while Stephen Pryor is still seen as the closer of the future in Seattle, and continues to work his way back from injury. Starting 2014 hierarchy: Closer – Fernando Rodney, Set-up – Danny Farquhar, 2nd in line – Tom Wilhelmsen. Seattle Mariners – Carter Capps was summoned in the 5th inning on Sunday and has been knocked around in his last few outings. After a short time when Capps was getting some higher-leverage innings, Charlie Furbush has resumed to his role as a dual set-up man with Yoervis Medina. Hierarchy change: Charlie Furbush to 2nd in line, replacing Carter Capps. Seattle Mariners – Carter Capps got the call in the 8th inning last night with the Mariners protecting a one run lead. Capps ended up giving up the game tying run but prior to last night he had a 7.2 inning scoreless streak. The young hard throwing righty has the stuff to close and should continue to be used in the later innings for the Mariners. Hierarchy change: Carter Capps to 2nd in line, replacing Charlie Furbush. Seattle Mariners – Tom Wilhelmsen was among Seattle’s September callups, and though The Bartender won’t be getting into any high-leverage spots right away, a few good outings could compel the Mariners to put him in to some tighter spots. If he performs, it could raise his trade value prior to 2014, which is the last year before he is eligible for salary arbitration. No hierarchy change. Seattle Mariners — Oliver Perez allowed six runs, four hits, and two walks in Saturday’s eighth; his struggles continue. No hierarchy change. Seattle Mariners – Danny Farquhar bounced back from his rough outing a few days back, earning the save on Friday with a perfect 9th inning. Behind him, it’s been mostly Yoervis Medina getting the 8th inning as of late, with Charlie Furbush contributing holds here and there. Oliver Perez isn’t out of the conversation for saves on nights when Farquhar is unavailable, but Medina and Furbush, who combined to get through the 8th on Friday, have been more consistent as of late. Hierarchy change: Yoervis Medina to Set-up, Charlie Furbush to 2nd in line. Seattle Mariners — Danny Farquhar had a nightmare ninth inning on Wednesday, falling a home run short of yielding the cycle, all without retiring a single batter. It was his first blown save as Seattle’s closer, though, and he should have some more leeway before he approaches the Hot Seat. No hierarchy change. Seattle Mariners — Tom Wilhelmsen was sent down to AAA Tacoma on Tuesday, and should no longer be considered the favorite to close in Seattle next season. No hierarchy change. Seattle Mariners — A triceps injury will shut down Stephen Pryor for the remainder of the year. No hierarchy change. Seattle Mariners – Danny Farquhar pitched a 1-2-3 inning on Sunday for his second straight save and looks to be the new closer for the Mariners. Hierarchy change: Danny Farquhar to Closer, Oliver Perez to Set-up. Seattle Mariners – The Mariners got their first save opportunity since Robby Thompson announced he would be going to a closer-by-committee. Charlie Furbush was the first guy out of the pen as he came on in the 7th inning. Furbush immediately allowed two inherited runners to score but finished the 7th and got the first 2 outs of the 8th. Danny Farquhar came on to face righty Adam Jones and got him to fly out to end the 8th. The Mariners added 2 more runs in the top of the 9th to make it a 4 run lead. Farquhar stayed on and finished the game for his first save of the season. Farquhar’s season ERA is over 5 but he has an incredible 52 ks in 34.1 innings. He also has given up just one hit and no walks while racking up 11 strikeouts in his last 6 1/3 innings. If Farquhar continues to bring that ERA down, he might take over as the primary closer for the Mariners. Hierarchy change: Danny Farquhar to Set-up, Yoervis Medina to 2nd in line. Seattle Mariners – Prior to Friday’s game, Robby Thompson said that he’d go to a closer-by-committee, mentioning lefties Charlie Furbush and Oliver Perez, and righties Yoervis Medina and Danny Farquhar. Friday’s game offered no clues into who gets first crack, as the Mariners lost and used only Brandon Maurer in relief, but over the last several weeks, Furbush has been, unquestionably, the 8th inning guy. The set-up man doesn’t always ascend to the role, though, and Perez and Medina are the relievers who have gotten odd save opps earlier this season; they could jump him in the hierarchy as a result, particularly since Thompson is an interim manager, and may not want to give someone new (Furbush) a chance. Farquhar, meanwhile, has been brilliant lately, but we rank him fourth among the potential options in Seattle. Hierarchy change: Oliver Perez to Closer, Yoervis Medina to Set-up, Charlie Furbush to 2nd in line. Seattle Mariners – Tom Wilhelmsen led the Seattle bullpen to one of the most epic collapses of the season thus far, as he, Oliver Perez, and Yoervis Medina combined to allow six runs in the 9th inning in an 8-7 loss to the Red Sox. The three relievers combined to retire only one hitter in the walkoff loss. Wilhelmsen allowed four baserunners without recording an out, and then after a bizarre sequence that saw interim manager Robby Thompson summon the wrong reliever by accident, Perez and Medina wrapped up the futility clinic by combining to allow four more hits and a walk. The only real beneficiary here was Charlie Furbush, who had an stellar-by-comparison 8th inning, where he allowed just one run on a hit and a walk. Wilhelmsen, whose ratios have been terrible all year (47.1 IP, 35 Ks, 26 BBs), won’t hold on to his job with another outing or two like this. Hierarchy change: Charlie Furbush to Set-up, Oliver Perez to 2nd in line. Tom Wilhelmsen to Hot Seat. Seattle Mariners – The Seattle bullpen is one of the hardest in the league to make sense of, as seemingly every reliever down there has gotten an 8th inning hold over the past month. Yesterday, it was Danny Farquhar’s turn, as the young righty turned in an exceptional performance, striking out 5 hitters over 2 innings of work before giving way to Tom Wilhelmsen. Farquhar’s numbers are ugly; he’s got a 6.00 ERA and a 1.47 WHIP. However, in just 30 innings of work since being called up in mid-May, he’s also got 46(!) strikeouts, which is almost identical to the K/9 rate that Craig Kimbrel is rocking this year. Farquhar obviously has a live arm, and when he’s on, like last night, he’s virtually unhittable. If he can string together a few more good outings, he’ll become an intriguing late-inning option in Seattle. No hierarchy change. Seattle Mariners – On Monday, Charlie Furbush got his third consecutive 8th inning hold and now has a 1.74 ERA in July. The Mariners might be preparing for life after Oliver Perez, who is a candidate to move at the trade deadline, and Furbush now seems the best candidate to inherit the set-up role if and when the veteran lefty gets moved. Hierarchy change: Charlie Furbush to 2nd in line, replacing Yoervis Medina. Seattle Mariners — Oliver Perez and Charlie Furbush are both attractive trade bait; Perez’s save chances are likely to drop off dramatically if (and when) he’s moved. Yoervis Medina could benefit as a result. TRADE DEADLINE BUY/SELL: BUY Yoervis Medina, SELL+ Oliver Perez. Seattle Mariners – Charlie Furbush pitched the 8th inning ahead of Tom Wilhelmsen last night, marking the third time out of his last five appearances that he picked up an 8th inning hold. Seattle bullpen usage has been hard to figure out since the return of Tom Wilhelmsen. Oliver Perez got a save as recently as 10 days ago, while Yoervis Medina has been better than almost anyone, though recently, he’s generally been pitching the 9th when the M’s have a lead in a non-save situations. If there’s actually a suitor for Tom Wilhelmsen at the trade deadline (which seems unlikely at this point), then Furbush’s high strikeout rates will throw him in to the mix for Seattle saves along with Perez and Medina. No hierarchy change. Seattle Mariners – Tom Wilhelmsen has had two rough outings in a row, giving up two runs in a blowout on Wednesday and taking an extra-inning loss on Thursday. He hasn’t done much to seize back the closer role since being re-appointed earlier this month. Tom Wilhelmsen to Hot Seat. Seattle Mariners — Oliver Perez struck out the side to pick up the save on Friday night. Tom Wilhelmsen is still the closer as he was warming in the bullpen to come in if there was any trouble. However, Oliver Perez has pitched extremely well this year and could see some more save opportunities based on match-ups. Hierarchy change: Oliver Perez to Set-up, Yoervis Medina to 2nd in line. Seattle Mariners – Tom Wilhelmsen picked up a 10th inning save on Wednesday and should resume closing immediately. Eric Wedge said that he used Wilhelmsen because he liked the match-up so he did not necessarily come out and name him the closer. However it is clear that the Mariners bullpen is at his best with Wilhelmsen in the closer role so expect him to see the majority of the save opportunities moving forward. Hierarchy change: Tom Wilhelmsen to Closer, Oliver Perez to 2nd in line. Seattle Mariners – Eric Wedge said prior to Tuesday’s game that Tom Wilhelmsen was close to regaining his closer status, and that the righty would be given another outing or two in a set-up role, and if those go well, he’d return to his old job (Mariners closer, that is, not bartender). Wilhelmsen pitched the 9th last night in a 7-run game, throwing a clean inning, and seems to be, at most, one more decent outing away from returning to the role. It’s sad news for owners of Oliver Perez and Yoervis Medina, who over the past three weeks have picked up a whopping one save each. No hierarchy change. Seattle Mariners – Yoervis Medina picked up the win last night night while working 2.1 scoreless innings. He got the last out of the 7th inning and then pitched the 8th inning of a tie game. The Mariners took the lead in the bottom of the 8th and Medina stayed on to finish the game. Oliver Perez still has the best numbers in the Mariners bullpen but Medina showed last night that he is also capable of preserving a 9th inning lead. Hierarchy change: Yoervis Medina to Set-up, Tom Wilhelmsen to 2nd in line. Seattle Mariners — After Eric Wedge used Oliver Perez with a one-run lead in the 7th inning, Tom Wilhelmsen came out for the eighth and immediately surrendered a tying home run to Albert Pujols. When the M’s took the lead back in the top of the 10th, Wedge was able to stick to his original plan of using Yoervis Medina to get the save. No hierarchy change. Seattle Mariners — Carter Capps was summoned in the sixth inning with the Mariners trailing by two. By the time he and Charlie Furbush were done spinning their craft, Seattle was down by nine. Eric Wedge has consistently said that Tom Wilhelmsen’s “mental break” from closing will be short-lived; add that to Monday’s debacle and Wedge’s use of Yoervis Medina in the ninth on Saturday, and you have a recipe for wholesale changes in the Seattle pen. Hierarchy change: Tom Wilhelmsen to Set-up, Yoervis Medina to 2nd in line. Seattle Mariners – Eric Wedge said before Friday’s game that he would give Tom Wilhelmsen some time off from closing. Oliver Perez was the first reliever to get a save chance in his place (which was a bit of a surprise given his 1.32 WHIP), but the lefty converted, and stands to be in a closer-by-committee with Carter Capps and Charlie Furbush until Wilhelmsen rights his ship. Wedge’s comments make it sound as if Wilhelmsen will get the job back if he can turn it around, so we recommend hanging on to him for the time being. Hierarchy change: Oliver Perez to Closer, replacing Tom Wilhelmsen. Seattle Mariners – Tom Wilhelmsen blew a save in spectacular fashion on Wednesday night, and Eric Wedge didn’t sound like a man enamored with his stopper. “We have to talk about it,” he said. “Obviously, you want to do what’s best for the ball club and Tom, too. … Tom Wilhelmsen is still our closer standing here right now.” Wilhelmsen has now blown four of his last nine save chances. Carter Capps would be the first choice to replace him if he slips any further. Tom Wilhelmsen to Hot Seat. Seattle Mariners — Tom Wilhelmsen gave up a run, but managed to collect the save on Monday night. Further down the bullpen, Yoervis Medina’s usage is worth monitoring; he retired all five men he faced in the seventh and eighth innings. No hierarchy change. Seattle Mariners – Tom Wilhelmsen blew his third save in four chances on Sunday, walking the bases loaded and then allowing a walk-off triple. Eric Wedge didn’t say anything ominous about Wilhelmsen’s job security after the game, saying that closers go through rough spots throughout the season, but should Wilhelmsen blow another save or two, Wedge will have to start considering 8th inning man Carter Capps instead. Also in the conversation is Charlie Furbush, whose high strikeout totals (31 Ks in 23 innings) probably make him a better 9th inning candidate than Oliver Perez. Hierarchy change: Charlie Furbush to 2nd in line, replacing Oliver Perez. Tom Wilhelmsen to Hot Seat. Seattle Mariners – Oliver Perez pitched the 8th inning ahead of Tom Wilhelmsen last night, marking the second time in the past week he’s been used in that spot. Perez, who has a 1.17 ERA, has been the most reliable lefty in the Seattle bullpen all year and has surpassed the erratic Charlie Furbush on the depth chart. Hierarchy change: Oliver Perez to 2nd in line, replacing Charlie Furbush. Seattle Mariners – Charlie Furbush is showing his potential this season, racking up strikeouts at an impressive rate (14 in just 8 innings so far), but he’s also been a bit wild, having walked nearly a batter per inning. He isn’t seeing many high-leverage situations as of late — he pitched in the 7th inning of a game the Mariners were losing last night — while Carter Capps has picked up two 8th inning holds in Stephen Pryor’s absence. Hierarchy change: Carter Capps to Set-up, Charlie Furbush to 2nd in line. Seattle Mariners – Stephen Pryor hit the disabled list earlier this week, so last night, it was Carter Capps who bridged the gap to Tom Wilhelmsen. Capps threw 2 scoreless innings and picked up the win, and could share 8th inning duties with Charlie Furbush until Pryor’s return. Hierarchy change: Charlie Furbush to Set-up, Carter Capps to 2nd in line, Stephen Pryor to DL. Seattle Mariners – Starting 2013 hierarchy: Closer- Tom Wilhelmsen, Set-up- Stephen Pryor, 2nd in line- Charlie Furbush. Seattle Mariners – Stephen Pryor pitched the final 1.1 innings for the Mariners on Wednesday, and was saddled with the loss when Torii Hunter drove in the game winning run in the 9th. But despite the rough outing, Pryor has been stellar as of late, and has been repeatedly trusted in late-inning spots. Hierarchy change: Stephen Pryor to 2nd in line, replacing Charlie Furbush. Seattle Mariners – Josh Kinney pitched the 8th inning ahead of Tom Wilhelmsen on Saturday. Charlie Furbush, one of the most consistent relievers in the Seattle bullpen earlier this year, hasn’t seen much action as of late. Hierarchy change: Josh Kinney to Set-up, Charlie Furbush to 2nd in line. Seattle Mariners – Josh Kinney picked up the last two outs of the 8th in a 2 run game. While Luetge has been impressive, his role is more of a high leverage lefty specialist. If both Wilhelmsen and Furbush were unavailable, its likely that the 9th inning duties would fall to the right handed Kinney. Hierarchy change: Josh Kinney to 2nd in line, replacing Lucas Luetge. Seattle Mariners – Lucas Luetge got out of a jam in the 8th inning on Tuesday, then stayed on for the 9th in a four-run game. Luetge earned his 2nd save of the season because there were several runners on when he was summoned in the 8th– Tom Wilhelmsen’s job remains extremely safe. No hierarchy change. Seattle Mariners – Charlie Furbush, who came off the DL last week, pitched the 7th inning in a tie game on Monday, then stayed on for the 8th after the Mariners took the lead. Seattle has struggled to find a consistent 8th inning man ahead of Tom Wilhelmsen, but Furbush could become that guy. When healthy, he’s been very solid, posting a 2.03 ERA and 0.78 WHIP. Hierarchy change: Charlie Furbush to Set-up, Lucas Luetge to 2nd in line. Seattle Mariners – Josh Kinney picked up a 2.1 inning save on Sunday. He finished off the 7th inning in a one-run game, then stayed on for the last two innings after the Mariners scored three more runs. Kinney does not factor in to Seattle’s usual late-inning plans. No hierarchy change. Seattle Mariners – Stephen Pryor pitched a clean 1.2 innings last night, earning the win when the Mariners walked off against Fernando Rodney. The young righty has only allowed 1 run in 10 appearances this season (0.84 ERA) and has 15 Ks and only 3 BBs. Hierarchy change: Stephen Pryor to 2nd in line, replacing Josh Kinney. Seattle Mariners – The Mariners traded set-up man Brandon League to the Dodgers early Tuesday morning. Lucas Luetge and Josh Kinney will now share 8th inning duties. With Tom Wilhelmsen getting a night off last night (his wife was expecting a child), Kinney and Luetge combined to get through the 9th inning, with Luetge picking up the one-out save. Hierarchy change: Lucas Luetge to Set-up, Josh Kinney to 2nd in line. Seattle Mariners – Charlie Furbush was placed on the DL yesterday with a strained triceps. Lefthander Lucas Luetge (1.46 ERA) will move into Furbush’s late-inning role. Hierarchy change: Lucas Luetge to 2nd in line, Charlie Furbush to DL. Seattle Mariners – The Mariners are actively shopping Brandon League, but Tom Wilhelmsen’s name hasn’t surfaced in any reported trade talks thus far. Like most closers for bottom feeders, Wilhelmsen’s value will either drop sharply (if he’s traded to a team that uses him in the 8th inning) or rise slightly (if he’s able to close for a contender), making him a somewhat scary fantasy proposition. If League is dealt, his value will probably drop or remain the same, but it could skyrocket if he remains and Wilhelmsen is shipped off. A deep sleeper for saves is Charlie Furbush, who has only given up 2 runs in his last 23.2 innings and could inherit the job if the Mariners are able to move both Wilhelmsen and League. TRADE DEADLINE BUY: Brandon League, Charlie Furbush. SELL: Tom Wilhelmsen. Seattle Mariners – Before Sunday’s game, Eric Wedge said that he’d likely put Brandon League back in the closer role “sooner rather than later.” Tom Wilhelmsen has performed well in the role since League’s demotion– and League got knocked around a bit on Sunday– but it sounds as if Wilhelmsen will inevitably move back to a set-up role once Wedge reinstalls his former closer. Tom Wilhelmsen to Hot Seat. Seattle Mariners – Hisashi Iwakuma recorded the save on Saturday, and has picked up two saves in his last two outings. However, his save on May 30th was of the 3-inning variety in a 21-8 win over the Texas Rangers, and his save yesterday was in the 12th inning after Seattle had used most of their other relievers. Brandon League and Charlie Furbush were both used before the 9th inning, and Tom Wilhelmsen pitched 3 scoreless in picking up the win. No hierarchy change. Seattle Mariners — Brandon League has been removed as closer, in a move manager Eric Wedge described as “very similar to what we did last year.” In 2011, League was demoted after becoming the first reliever in Mariners history to lose in four straight appearances, but regained his job only five days later, and wound up in the All-Star Game. Wedge refused to commit to anyone as League’s replacement; Tom Wilhelmsen seems to be the most obvious candidate, but lefties Lucas Luetge and Charlie Furbush could be in the mix as well. Hierarchy change: Tom Wilhelmsen to Closer, Brandon League to Set-Up. Seattle Mariners – The Mariners summoned Charlie Furbush in the 7th inning on Sunday, whereupon he pitched a clean inning with 2 Ks. The lefty, a former starting pitcher, has shown the ability to pitch out of the bullpen to both lefties and righties. Hierarchy change: Charlie Furbush to 2nd in line, replacing Steve Delabar. Seattle Mariners – Brandon League blew his third save of the season on Thursday. While his ERA remains at a respectable 3.12, his peripherals (1.44 WHIP, 10 Ks, 10 BBs) are troubling, and the Mariners could look elsewhere if League’s struggles continue. Brandon League to Hot Seat. Seattle Mariners – Steve Delabar pitched the 7th with a 2 run lead last night and has been used more often than Lucas Luetge. Hierarchy change: Steve Delabar to 2nd in line, replacing Lucas Luetge. Seattle Mariners – George Sherrill was placed on the disabled list yesterday with elbow soreness. Lefthander Lucas Luetge, reliable in three outings so far, moves up on the depth chart. Hierarchy change: Lucas Luetge to 2nd in line, replacing George Sherrill. Seattle Mariners- Tom Wilhelmsen has supplanted Jamey Wright as the Mariners primary set-up man. He’s pitched the 8th inning each of the last two nights, each time setting up a Brandon League save. Hierarchy change: Tom Wilhelmsen to Set-up, Jamey Wright to 2nd in line. Seattle Mariners- Jason Gray has been pitching in a number of late game scenarios over the past several weeks, and the Mariners will likely look to him even more now that Laffey is gone. Hierarchy change: Gray to 2nd in line, replacing Laffey.